How race and recollection still frame an Alabama football fatality 40 years later. In Andy Lamb’s memory, a football field is the scene of a murder. The victim is black, the killer white, the weapon a helmet. The year is 1972, the place Alabama. The motive is racial hatred. 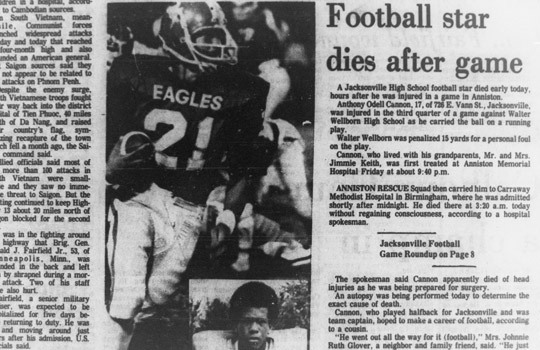 Andy Lamb (top, from his playing days) was a teammate of Speedy Cannon at Jacksonville High in the early 1970s, and 41 years later is still convinced that Cannon’s death was murder. Dr. Lamb has told this story many times in the past 41 years: to his sons at the table, to friends around the world. It happened before his eyes, and it still plays in his mind, over and over, like a clip from a film. When I heard the story last year, I went to Alabama to see if it was true. What I found was complicated. A few young men die every summer and fall, necks broken, brains smashed, their deaths caused by football itself. These fatal collisions require no criminal intent. They happen rarely but inevitably, as a matter of course, in a game that rewards the controlled use of violence. They happen now just as they happened then, in Alabama, in 1972, when the violent death of a young black man could be hard to separate from the lingering climate of racism. Imagine testifying in court about something you saw yesterday. Could you be certain of every fact? Now try to remember something you saw 40 years ago. The eye can deceive, and so can the memory. Even if you saw it the way it really was, and accurately remember what you saw, you may never know the whole truth. Our team at Jacksonville High School was completely integrated and relations between blacks and whites were amazingly good considering it was ALABAMA in 1972! The presence of a nearby Army post helped as black students from military families were very much the norm. Our football team captain that year was an amazing young guy by the appropriate name of Speedy Cannon. He was a junior, he was our star halfback, he was the junior class president and he was African-American. What a great guy he was! Everyone loved Speedy and he was the best! Not only was he an amazing person, he was an excellent student, true leader and a friend to everyone. Speedy lies very still for a few seconds and then with help gets on his feet and with staggering legs is taken away. He is subsequently taken by ambulance to the nearest hospital where we learned late that night that he had died from a massive brain injury and bleed! Speedy had died! I could not believe it, WE could not believe it! The next day at practice all the team gathered around as the coaches played and replayed the film of that…hit that killed…Speedy! We all mourned his death and were forever changed by it. Walter Wellborn High is not situated on the narrow plateau known as Sand Mountain. It is, in fact, on the western side of Anniston, an industrial city of 23,000 about 90 miles west of Atlanta. Anniston has a newspaper, The Anniston Star, with a solid national reputation. I figured if someone had in fact been murdered in a football game in Anniston, the Star would have had to mention it. The picture is vivid of Cannon skirting wide on a long-gainer, hip- and head-faking a defender, charging through the middle and shedding 200-pound linemen, twisting and lunging in an effort to gain an extra yard, crossing the goal line with straight-up posture as an official’s arms swing upward and parallel. Skeptical now, but still intrigued, I began calling Andy Lamb’s classmates from Jacksonville High. Ricky Armstrong, a student trainer and team manager, could still see the play in his mind: Cannon lying on his back, the Wellborn defender diving on top of him, the helmet hitting Cannon’s jaw, just under the facemask. But he saw nothing criminal about it. When asked about the racist hate mail from Wellborn before the game, it didn’t seem to ring a bell. “I don’t know that it’s a racial story, to be honest with you,” he said. And what about the hate mail before the game? Like Armstrong and Yancey, Cannon’s teammate Mike Duncan had his doubts about Lamb&apos;s story. But that wasn’t all. Duncan said the game had been recorded on 16-mm film and was kept for decades by another teammate. Now Duncan had the film, and had transferred it to DVD by projecting the film on a wall and recording the projection with a high-definition video camera. And yes, he’d be glad to send me a copy. 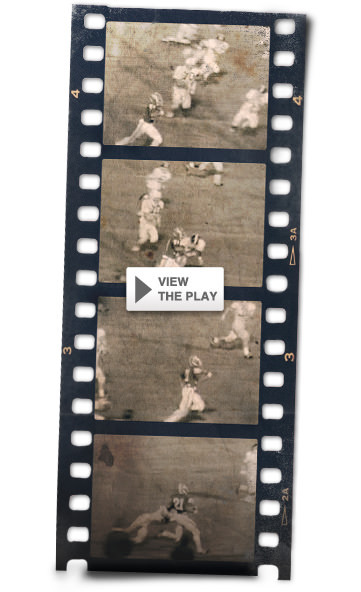 The game had been recorded on 16-mm film and was kept for decades by another teammate. Speedy Cannon burst around the left end for 31 yards in what would turn out to be the last play of his life. A frame-by-frame look at the play that ended in the fatal hit. The film is silent, and certain shots near midfield are obstructed by a pole, and occasionally you get a high-definition shot of Mike Duncan’s forearm as he adjusts the reel, but in general the picture is sharp and clear. What it shows is Speedy Cannon running wild. He wears a black jersey, number 21, and there he goes around the end, four white-clad Wellborn players chasing him, and he outruns them all. He runs straight through the line and cuts to the right, leaving bodies in his wake, and when he reaches the open field his strides seem to lengthen and his advantage grows. He repels a tackler with a powerful stiff-arm. Jacksonville scores, and scores again. The lead is 14–0 at halftime. Cannon has runs of 36 and 50 yards. In less than three quarters he rushes 18 times for 178 yards, including his last run, around the right end, for 31 yards. He takes the option pitch from the quarterback and accelerates downfield, beating three defenders to the corner, blazing down the sideline. There are two men to beat. The first one dives and gets him by the ankles and knocks him out of bounds. But Cannon keeps running. When does the referee blow the whistle? Who knows. The film is silent. Cannon stays on his feet, still churning toward the end zone even though he’s out of bounds, and the second defender slides in and undercuts him. Cannon goes down, hitting the ground with his right shoulder and rolling onto his back. All along, a third defender has been trailing the play. He wears number 70. He looks very big and very strong. He was one of the three defenders Cannon beat to the corner, but he never gave up. When the first defender knocks Cannon out of bounds, Number 70 trails by nearly five yards. He does not slow down. When the second defender hits Cannon late, 70 keeps coming. There is a moment when Cannon is down, when it looks as if 70 could change his mind. He could pull up, or change direction, or hurdle over Cannon’s body. But he is locked on the target. Even so, his trajectory puts him in the best position to knock down a runner who is standing up. This is what makes the hit so flagrant. It is not one fluid motion. His body does not move in a straight line. Instead Number 70 contorts himself so as to collide more directly with Cannon. His body takes on the shape of an arch. His feet are on the ground, his rear end is in the air, and his torso bends sharply downward. He leads with his helmet. At the last instant his feet leave the ground and his body straightens. He is, at last, a missile, smashing headfirst into Cannon’s head, pinning it to the earth. Cannon’s left arm jerks upward, as if by reflex, and then the film cuts away. Which is to say this: On film, with repeated viewing in slow motion, the play looks every bit as bad as it does in Andy Lamb’s memory. In five games, Cannon average 144.4 yards per contest and scored eight touchdowns. Ienjoy my job, especially the license it gives me to see new places and discover strange things. Still, it’s not often I go door-to-door asking private citizens about a violent death from 40 years ago. And so, as I drove through west Anniston on a Thursday afternoon in October, I was just as afraid as I was excited. I had a list of Wellborn players’ names collected from the Star and a list of addresses from a public-records database. I didn’t know who Number 70 was. 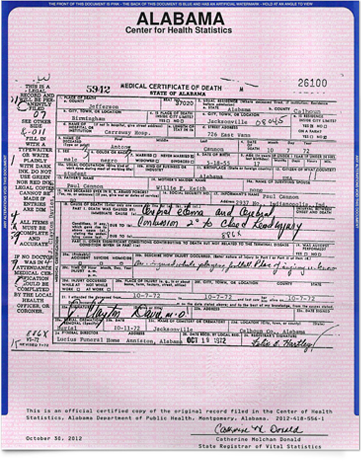 As far as I could tell, he had never been publicly identified. Nor could anyone from Jacksonville tell me his name, although they seemed to agree on the vague notion that he’d never gotten over Cannon’s death. Aubrey Shears was mowing his lawn when I drove by. I didn’t see an available space in the driveway, so I parked at a baseball field nearby and walked back to his house. By then he had disappeared. I knocked on the front door and waited, and knocked again and waited, and finally he materialized in the yard to my left. He was a stout man in overalls, and very suspicious. He said pairs of young folks had been going around robbing houses lately, and he’d been watching to make sure I was alone. I did not ask directly for Number 70’s name, but it came up anyway. After his suspicion wore off, Shears turned out to be friendly and helpful. He gave me the name, which I’ve decided not to publish because he was only 16 at the time of the incident. Number 70’s address was easy enough to find, but the house was hidden from the road. The first time I went looking for it I got lost, and it was dark, so I decided against knocking on any more doors that night. But I came back the next day after talking with one of Number 70’s close friends, who told me exactly how to get there. It must be said: Every man I met from the ’72 Wellborn football program was generous with his time and assistance. Number 70 lived in a large wooden house that looked like a mountain lodge. It was nicely decorated for Halloween when I drove up on a Saturday afternoon. An Auburn Tigers banner hung above the front porch. His wife answered the door. “I’ll go get him,” she said. Seventy came to the door. He was a middle-aged man with gray hair and glasses and a curvy white mustache. “Yeah, O.K., I’ll talk to you,” he said, with what I thought was a hint of sadness. “But could it be tomorrow?” It turned out he had a bunch of friends over, and they were busy watching Auburn lose. I came back the next day, after he got out of church. We sat at his kitchen table. The room smelled like potpourri. I worked up to the hard questions, starting with the broad strokes of his life story. His father was a pipefitter and his mother worked in the office at the Monsanto plant. 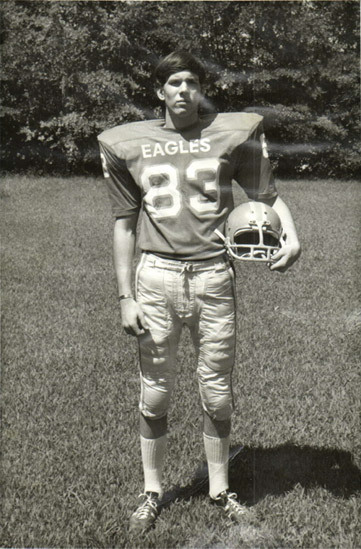 Seventy was a junior at Wellborn High in 1972, a starter at both offensive guard and strongside linebacker, and very serious about football. He had prepared for the Jacksonville game by watching film of Speedy Cannon. He said he didn’t remember Cannon’s dominant first-half performance that night. Nor did he remember any particular thing the coaches said at halftime—and certainly nothing about an order to kill Cannon. But he did recall being flagged for a late hit on the play that ended Cannon’s life. “Did you feel like it was a justified penalty?” I asked. There was remarkable agreement among the Wellborn players on this point. Shears, wide receiver David Dawson and cornerbacks Tony Vinson and Audie Ellswick all said some version of the same thing. And then a strange thing happened. As I watched this 56-year-old man watching his 16-year-old self smashing Speedy Cannon, the play did not seem as bad as I had remembered it. At regular speed, it looked almost like a clean hit. I played it again, this time in slow motion, and it did look worse, but still not terribly far from the normal range of football behavior. Seventy said he might have been so focused on making the tackle that he didn’t notice the sideline. He said he might not have heard the whistle, assuming the whistle was blown before the hit, which was impossible to tell from the silent film. He said he liked Speedy Cannon, respected him as a competitor, and never meant to do him serious harm. “I believe you,” I heard myself saying, although by now I didn’t know what to believe. What strangers believed about Number 70 did not appear to be true. He showed no sign of being a racist. Nor did he seem consumed by guilt. He had played football for a while longer and then quit because he was tired of it and after a few false starts he had gotten a good job as a welder. He had a nice wife and a son and twin daughters and two grandchildren. He had cried over Cannon’s death and then moved on with his life. It was the only reasonable choice. “Well, we appreciate you comin’,” his wife said as they showed me to the door. It was getting cold outside, and the afternoon was fading. Electric candles burned in the upstairs windows. “Thanks a lot for having me,” I said, and drove north toward Jacksonville to meet Raymond Woodruff, Speedy Cannon’s first cousin, whose comments would only deepen the mystery. On the night he died, his cousin remembers Wellborn players trying to injure Speedy the whole game with encouragement from the crowd. Raymond Woodruff believes the same thing Andy Lamb believes about Speedy Cannon’s death. He is one of many people in Jacksonville who quietly hold this belief. At two memorial services last October timed for the 40th anniversary of Cannon’s last game, classmates and teammates got behind the microphone and said very nice things about Cannon’s life while remaining silent on the circumstances of his death. And then, away from the microphone, several of them voiced their lingering suspicion. Woodruff has his reasons. 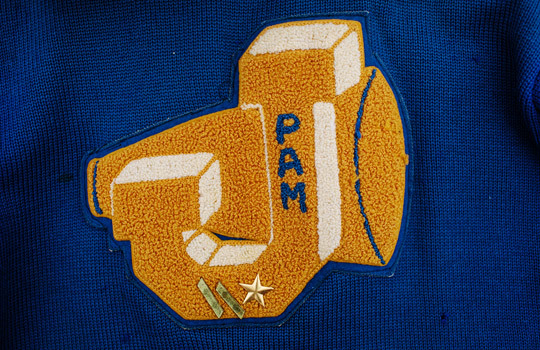 Playing basketball for Jacksonville High, he visited Wellborn High for a game in the early ’70s. This is the main thing he recalls about that visit. Before the game started, a Wellborn player took Woodruff aside and told him he’d better not score any points. Woodruff didn’t understand. The player told him to look up in the bleachers. Woodruff looked up and saw a white man discreetly threatening him with a gun. Then Woodruff understood. He fouled out of that game as fast as he could. Much would later be said about Wellborn’s collective grief over Cannon’s death. But Raymond Woodruff remembers the opposite. He says there was widespread celebration immediately after the fatal hit. The band played Dixie. People waved Confederate flags. Tragedy? No, Woodruff told me. The atmosphere at Wellborn was one of triumph. All along, I’d been wondering whether anyone who cared about Speedy Cannon had done anything to avenge his death. And if not, why not? In the larger picture of race relations in Alabama, the answers to those questions turned out to be the most important part of the story. No Jacksonville players retaliated during the game because they were busy playing, and because they didn’t know how serious Cannon’s injury was. He actually stood up after the hit, with some help, and for a moment he watched the game from the sideline. He said, My head hurts. He may have seen the touchdown Jacksonville scored to stretch its lead to 21–7, although who knows what he understood. Even later in the game, when Cannon collapsed again and the ambulance came, no one knew he would die. That didn’t happen until around 3 a.m. at Carraway Methodist Hospital in Birmingham, hours after Wellborn finished the 22–21 comeback win that was made possible by Cannon’s departure. Under this scenario, it would be easy to imagine Cannon’s father taking justice into his own hands. But he was long gone, to Indianapolis, and he had started a new family. Cannon’s brothers had gone to Indianapolis with their father. His mother had died of cancer several years earlier. Cannon lived with his grandparents—he had stayed in Alabama to pursue his football career—and the responsibility of family spokesman fell to his uncle Ernest. Anger was rising among African-Americans in Jacksonville. The NAACP and the SCLC got involved. There were mass meetings. The people looked to Ernest Wilson for direction. Wilson was angry too. He wanted justice for Cannon, but he wanted it done the right way. Wilson knew what Speedy Cannon would have done. Cannon grew up sleeping on floors and wearing second-hand clothes in a town where a black man in a car accident could be dragged from the wreck and beaten by police. Where a black boy who said hello to a white girl who said hello to him first was driven away in a squad car and forced to leave his brand-new bicycle by the side of the road. In elementary school, Cannon waited until all the white children ate lunch and then he cleaned the cafeteria kitchen to earn his own lunch. When someone called him a n-----, he just walked away. When there was a doubt, he gave the benefit. He changed his manner of speaking when white people were around. He made white friends. He did all this for years, until his junior year in high school, when the white children elected him their class president. Now he was going places. He thought he could play football for the Crimson Tide, and then in the NFL, if he could just survive high school in the changing South. What would Speedy Cannon have done? He would have told everyone to settle down. We don’t want any racial trouble here, Wilson told the people. It’s not going solve anything. And so, although they suspected that one of their own had been killed because of his race, they let it go. This nonviolent response had a profound effect. Here was a young black man, loved by whites and blacks alike, blameless in life and in death, with no subsequent bloodshed to complicate his legacy. A hush fell over the community, a time of quiet reflection on a beautiful life, and when it ended blacks and whites seemed to get along better. One after another, black and white, those who had witnessed this change told me the same thing. “I believe it changed racism in Alabama,” said Tim Lewis, one of Cannon’s black teammates. But in the midst of all the forbearance, I did find evidence of two minor confrontations. Pamela Baker-King, an African-American cheerleader who attended Jacksonville with Cannon, told me that when the game ended, two uniformed Wellborn players approached her. One of them said, “We got your n-----.” Furious, Baker-King attacked one of the boys and knocked him to the ground. It took a watchful Jacksonville parent to stop her from beating him with his own helmet. Then there was Frank Burgess, the Jacksonville assistant coach. On the morning after the game, Burgess, who is white, and the other Jacksonville coaches gathered at the school and watched the game film again and again. Burgess was horrified. “That’s the cheapest shot I’ve ever seen taken in a football game,” he told me. As the Jacksonville coaches watched the film, they got a surprise visitor: the head football coach for Wellborn High. He had apparently come to offer condolences. Former Jacksonville assistant coach Frank Burgess says he confronted the head coach from Wellborn, telling him he believed the fatal hit on Speedy Cannon was intentional. I wondered what Wellborn’s coach would have to say about this. His name had come up in a previous conversation with Ricky Armstrong, the Jacksonville student trainer, who was pretty sure the old coach was dead. The coach was still alive when I found him, at his tidy brick house in Talladega, two days before Halloween. He was 81 years old. He wore khakis and a plaid shirt and thick gray socks and he leaned back in his recliner with his fingers knotted behind his head. He had trouble hearing, and he spoke in a very loud voice. “I’M AFRAID THAT SOMEBODY’S MADE UP A STORY,” the old coach said. In his mind, the issue was simple: Cannon was hurt before the game, so he shouldn’t have been playing. Many of his players said this too, and several people from Jacksonville confirmed it. Cannon had suffered a concussion earlier that season. But according to Armstrong, Cannon had visited a doctor after that concussion and received clearance to play in the Wellborn game. Did that clearance actually mean he was fit to play? Who knows. It was 1972. Standards were different then. In any case, the coach denied what Burgess said about the confrontation, and he denied telling his players to hurt Cannon. 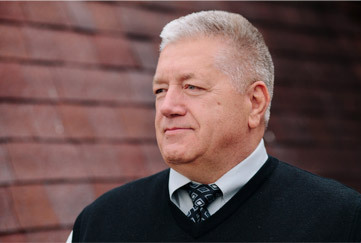 Several of his players had said he was a good coach, a good man, a teacher of good values. They said he simply wasn’t the kind of man who would order a vicious attack on a black kid. There was no perfect source for the story. The film was silent, and it frequently cut away. Andy Lamb didn’t know what was said in the Wellborn locker room. The Wellborn players I had interviewed in Anniston were all white; none of them had seen anything wrong with Number 70’s late hit on Cannon. But if there was a black man who played for Wellborn in ’72, he might come close to solving the mystery. I’d heard varying accounts of that team’s racial makeup. 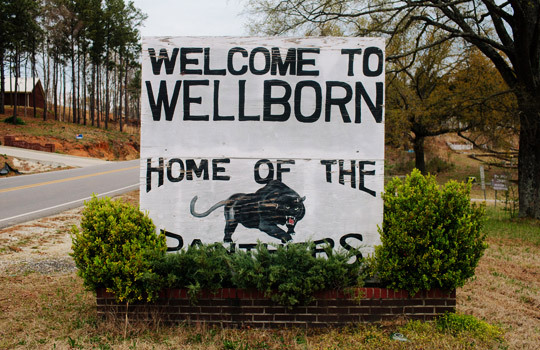 One Jacksonville assistant coach, Alton Yancey, thought half of Wellborn’s players were black. Another, Frank Burgess, thought none of them were. Wellborn’s old coach had trouble remembering. A yearbook would have helped, but I got the runaround when I went to Wellborn High. Eventually, after many interviews, I found the truth. Wellborn had one black player that year. His name was Charles Kirkland. Where was Charles Kirkland? He was long gone from Anniston. One former teammate said he might be dead. No, he was not dead. He lived in Powder Springs, in the western suburbs of Atlanta. We met at an Applebee’s near Interstate 20 on the same day I met the old coach. Kirkland drove a silver Mercedes. He ordered lemonade. He remembered a day in 1971 when a gang of white students found him alone at the football field and hit him on the head with a bag of rocks. He was caught between two worlds, between the white folks who called him a n----- and the black folks who called him an Uncle Tom. 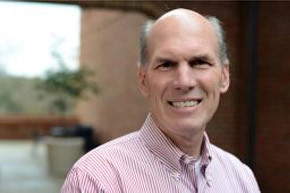 Many black families were boycotting Wellborn around then, and the Kirklands were seen as traitors because they sent Charles to the high school. Someone threw a Mason jar full of gasoline against the side of their house, a failed Molotov cocktail, and for several nights after that Charles sat outside in the dark with a .22 rifle. Around June 1972, two officials from Wellborn—one white and one black—persuaded Charles to become the second black football player in school history. (The first, Roger Thomas, played one brilliant game at halfback in 1971 and then left the school.) Some of Kirkland’s teammates were, indeed, racists. They called him ugly names and punched him in the side during practice. But this group did not include Number 70. As for Wellborn’s old coach, he treated Kirkland just fine. (I’ve withheld the coach’s name as well, because the allegations against him appear to be untrue.) Kirkland hoped to start at tight end that season, but he broke his wrist while catching a pass and had to watch the Jacksonville game from the sideline with his left arm in a cast. He kept his eyes on the game, afraid to turn and face the Wellborn fans and their Confederate flags. When Number 70 made the fatal hit, Kirkland thought nothing of it. There was a slight arch in the ground, making the far sideline invisible, and it looked like just another clean hit from a hard-hitting linebacker. Anthony Cannon had at least two nicknames. Some people called him Speedy, but many others called him Tonchy. The next day one of Kirkland’s neighbors asked him, Did you hear about Tonchy? And Kirkland felt sick. He knew Tonchy a little, from summer camp, and now Tonchy was gone, and Kirkland was caught in the middle again. He’d been the only black player in the locker room at halftime that night, and a lot of people wanted to know what he’d heard. The angry African-Americans in Anniston wanted him to condemn the coaches for what they saw as murder. The white coaches and players wanted him to clear their names. Back and forth. Push and pull. The pressure was mounting. Kirkland. Kirkland. You gotta tell ’em. We’ve got to stop Cannon. All through his junior season, he took one crushing hit after another. Just go down, his uncle kept telling him. Just go down. But Cannon kept those legs churning. And that was where my journey led: to a black man with inside knowledge of the Wellborn team who said the hit on Cannon was nothing more than a play in a football game. Having thought about it for the past 12 months, I’ll tell you what I believe. I believe there were many people in the stands that night who hoped Cannon would be hurt so badly that he would have to leave the game. Certain fans feel this same hope at every football game. But this is the difference: I believe some of the people in the stands at Wellborn that night genuinely wanted Speedy Cannon dead. I believe a few were glad when they learned of his death. This is evil, but it does not amount to murder. 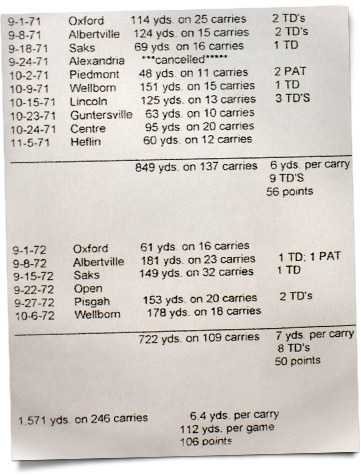 I believe the Wellborn coaches merely wanted their players to tackle Speedy Cannon, and tackle him hard, because they needed a very common thing that night: They needed to stop him in order to win. I believe Number 70 was motivated not by racism but by the thirst for violence that remains an inseparable part of football. To a point, I agree with him. I believe Cannon was the target of excessive on-field violence throughout his football career, both because of his skill and because of his race, and that the effects of this violence accumulated on his body until they ended his life. All through his junior season, he took one crushing hit after another. One defender would stand him up and then two or three others would unload. Just go down, his uncle kept telling him. Just go down. But Cannon kept those legs churning. He never seemed afraid until the week of the Wellborn game. At the countywide trade school, where he spent part of the school day learning masonry, he had a friend who went to Wellborn. Every day that week it was the same. He kept asking his friend, in gravely serious tones, What are they saying about me? What are they saying about me? The day before the game, his cousin saw something he’d never seen before. Cannon was polishing his football shoes. Why are you polishing your shoes, the cousin asked. It might be the last time I wear ’em.